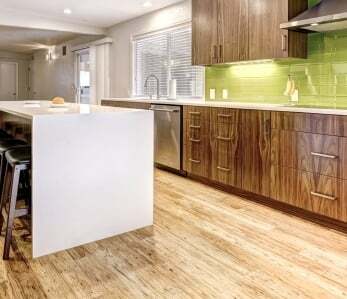 Bamboo hardwood flooring is gorgeous and with proper care, it can last a lifetime. But that long-lasting beauty doesn’t happen by accident. 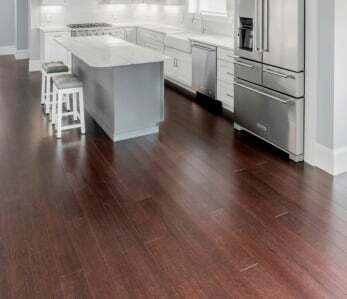 Using the right rug pad can protect your floor from damage and increase the lifespan of your floor, and it can also preserve the natural qualities that make bamboo hardwoods so attractive. 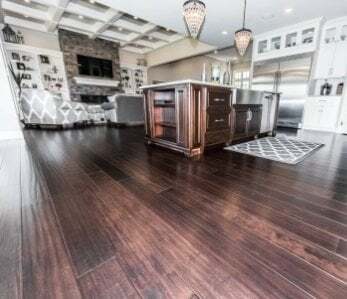 When using area rugs to enhance the decor of living spaces, protect the surface of hardwood flooring underneath the rug with the right felt pads. There are plenty of reasons to invest in quality rug pads. 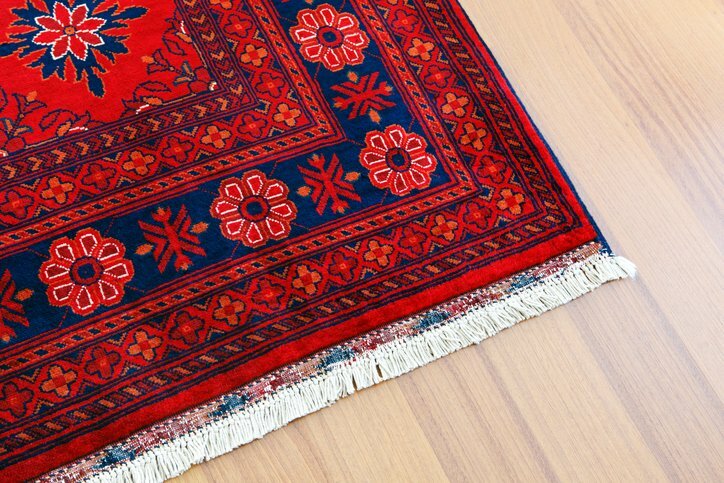 Prevent Scratches: Over time, dirt, grime, and grit will accumulate underneath rugs. Even when a rug is vacuumed regularly, some particles will still be left behind. They will eventually make their way through the weave of the rug and onto the flooring underneath. Traffic over the rug will grind these particles into the surface of hardwood flooring causing abrasions that will mar the wood. Prevent Stains: Spills of liquids that contain qualities that will stain a rug will also stain the surface of hardwood flooring. Of course, these are cleaned up quickly. But what about the dyes within the rug fibers? Although a spill may be cleaned up right away, the rug stays moist. This can cause stains on hardwood flooring if a damp rug is in direct contact with the floor’s surface. Safety: Without a pad, a rug will shift and slip on the surface of hardwood flooring. A rug pad will create the friction necessary to keep everything where it belongs and prevent falls caused by slipping rugs. Preserves Rug: In addition to protecting hardwood flooring, a quality rug pad will also preserve the quality of the rug. 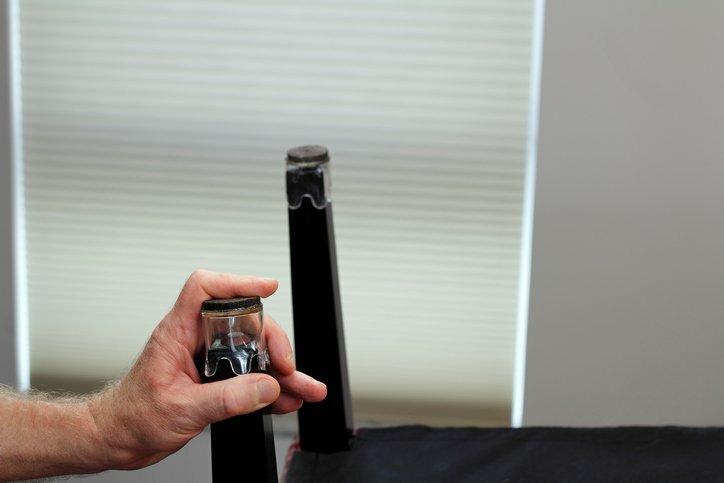 It will prevent premature aging that is caused by an unsecured rug rubbing back and forth against the flooring. This action can damage rug fibers. Comfort: A rug pad will provide a softer, more cushioned surface to walk on and features sound absorption qualities. Both improve the quality of life in a living space. By keeping a rug in place, it also improves the aesthetics of the living space by eliminating an unsightly rug that is bunched up or askew. The most important reason to use a felt pad is that it is natural. This is not just a selling point for those interested in living green. A natural fiber felt pad doesn’t leave residue behind over time, as it breaks down, like petroleum based synthetic fibers. That residue can ruin a hardwood floor. Most rug pads are natural/synthetic fiber hybrids that contain things like VOCs (volatile organic compounds). These are petroleum based which means they will bond to the surface of hardwood flooring. Even a synthetic rubber or latex pad will eventually break down. Felt preserves and protects over the long-term without damaging a floor. Variety: Select from any number of shapes: oval, rectangle, round, runners and square. Custom cut for any measurement. Comfort: With 3/8″ thickness, Superior offers great comfort. Protection: Rated to resist spill penetration, it is approved as safe for hardwood flooring. Organic: Certified organic, it comes with CRI Green labeling and is hypoallergenic. Purity: Manufactured with an RPC Heat Pressed process, it contains no adhesives and is odor neutral. Origins: Made in the USA, this brand is sold directly from the miller. Versatility: Rated with a thermal resistance level of 1.09, this pad can also be used on radiant heat floors. Pay It Forward: A part of every Superior order is donated to The American Cancer Society, American Red Cross and St. Jude Children’s Hospital. Prolonging the life of a rug and flooring is affordable and Earth-friendly with Eco-Plush 100% felt rug pads. Variety: Pre-cut popular shapes and sizes that meet measurements as small as 3′x5′ and as large as 12′x15′, with the option of custom orders for any size rug. Comfort: Economical comfort begins with 1/4″ density. For maximum comfort, upgrade to a full 1/2″. Origins: Made in the USA. Green: 100% felt crafted from recycled carpet fibers and yarn means a rug pad that protects the environment and the floor. The Mohawk brand can be found at a variety of retailers like Home Depot and even Wal-Mart. For those who prefer e-commerce to brick and mortar, Mohawk can also be purchased through online retailers selling on platforms like Amazon. Variety: Popular pre-cut sizes and shapes are usually in stock with the option to order custom measurements. Comfort: Standard 3/8″ thickness provide comfort, protection, and optimal sound absorption. Organic: Advertised as the most eco-friendly felt pads on the market, it is MBDC Cradle-to-Cradle certified. Purity: Contains no adhesives, glues, latex, plastics, PVC, or rubber. Green: Crafted from recycled felt fibers and GREEN air quality certified and CRI Green Label Plus certified. Award-winning design for innovation in LEED (Leadership in Energy and Environmental Design) for use of Low Emitting materials. Shaw Industries crafts excellent 100% felt pads that is available through flooring retailers online or at a local brick and mortar outlet. Comfort: Standard 3/8″ thickness for a plush, comfortable pad. Organic: LEED certified for air quality, mold/mildew resistant and hypoallergenic. Purity: 100% natural fibers and contains no rubber. Green: 100% recycled felt fibers for giving back to the environment while giving to yourself more comfortable living. For premium quality at a discount price, eBay store Rug Pads 4 Less is a great alternative for sourcing a 100% felt rug pad. 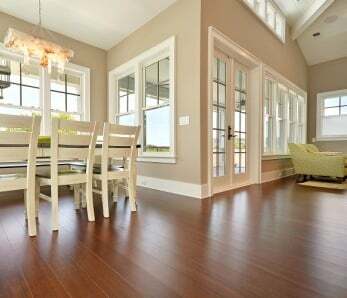 Comfort: Dense, 32 ounce, 3/8″ thickness that prevents damage and wear on hardwood floors. Organic: Manufactured with natural fibers without any chemical processing. Green: LEED and CRI Green Label certified for air quality and the environment. 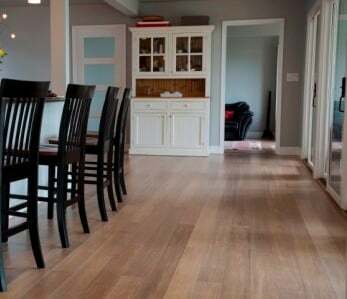 For more information on the best care for bamboo hardwood floors, contact a with expertise in natural flooring materials.